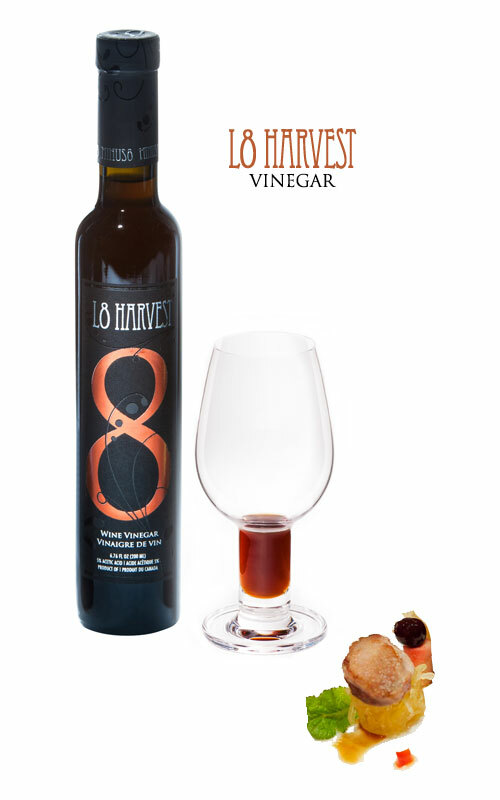 L8 Harvest Vinegar is made from grapes picked in the winter, during icewine harvest. Icewine is made by harvesting grapes in winter when they are naturally frozen on the vine. The grapes are frozen solid, so the juice that gets pressed out, while the grapes are still frozen, is rich in flavour, natural sugars and grape acids. The rich, sweet, delicious wine made of these grapes is converted into vinegar. This conversion takes months with traditional methods - so crucial for maintaining the true style of icewine as prominent in our vinegar. L8 Harvest Vinegar is bottle aged. tonight in Sweden….Lovely Oysters and L8 Harvest vinegar!!! !